As we know the earth is not smooth everywhere due to numerous cliffs, gorges and canyons so sometimes it is difficult to move from one place to another without any hurdle quickly. So people learned how to build the Bridges which made it easy for people to move easily from one place to other without problems and saved their time. Basically Bridges are great way to connect two cities, countries or just two ways, they help a lot and facilitate us to reach our destination as soon as possible without any interruption which is for a while faced during normal road tracks journey. The highest and tallest bridges are ranked by their structure size but and annually a list is prepared showing the length and height of these tallest paths designed for connecting paths. 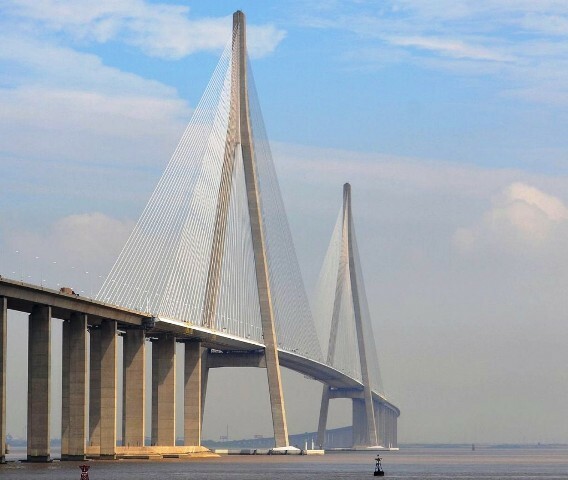 It is 244.3 meters tall Cable Stayed Bridge and its construction started in 2009 and completed in 2013. 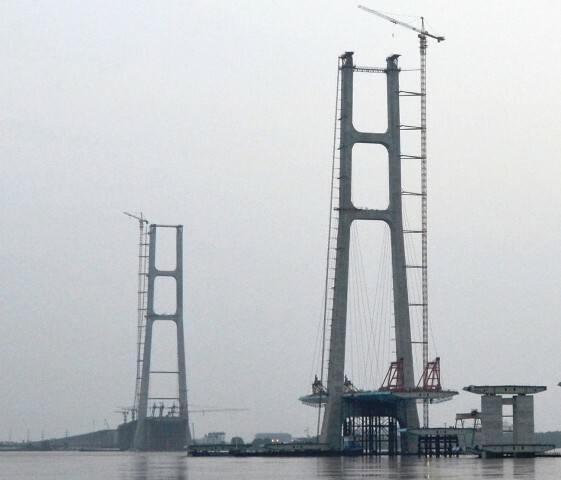 It is crossing the Yangtze River and having 2684 ft span it is placed on 10th spot in the list. 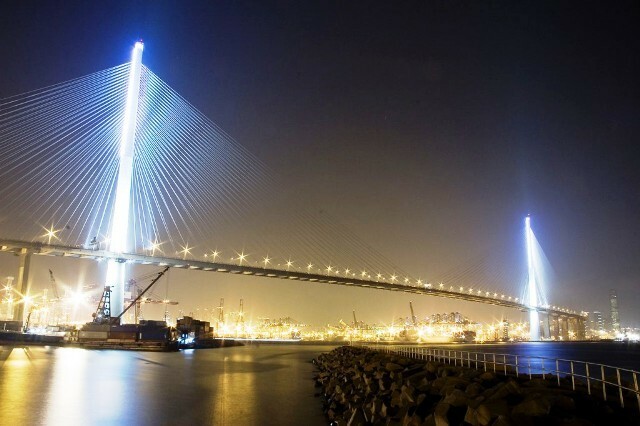 It is also a cable stayed bridge and it is also crossing the Yangtze River. Its total length is 2174 meters. Its construction was completed in 2010 and which was constructed 440 feet above the river level. It is officially recognized as Østbroen. It is suspension bridge which is placed on 8th spot in the list. 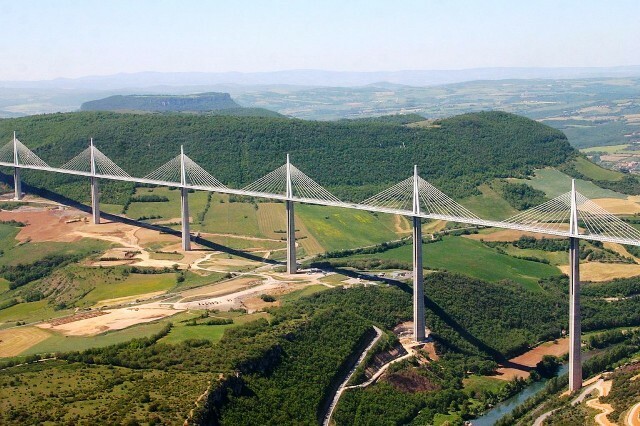 It is made of Steel and Concrete having the height of 254 meters while its total length is 6790 meters. It is located in Denmark. It’s all construction and other expenses were met by the Toll on vehicles and trains while its maintenance and operating services are controlled by the A/S Strorebælt. With 5419 meters length and 869 feet height, it is placed on 7th spot in this ranking list. 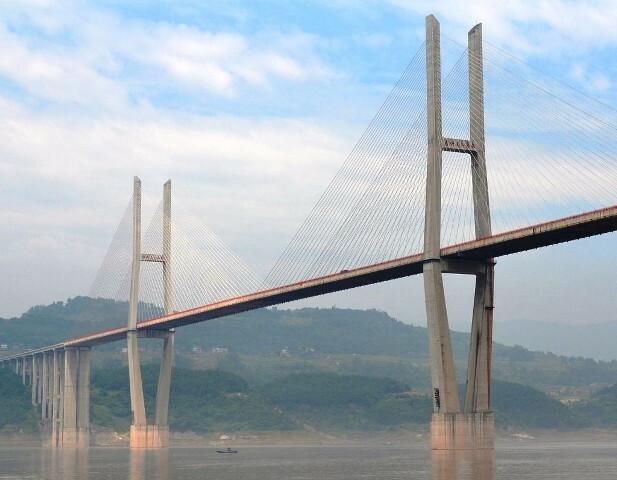 It is crossing the Yangtze River and located in Jianli County, Hubei, China. It is also recognized as Jingyue Dàqiáo in the world. It was opened in June 2010. It is a suspension Bridge located in the South coast of Korea. 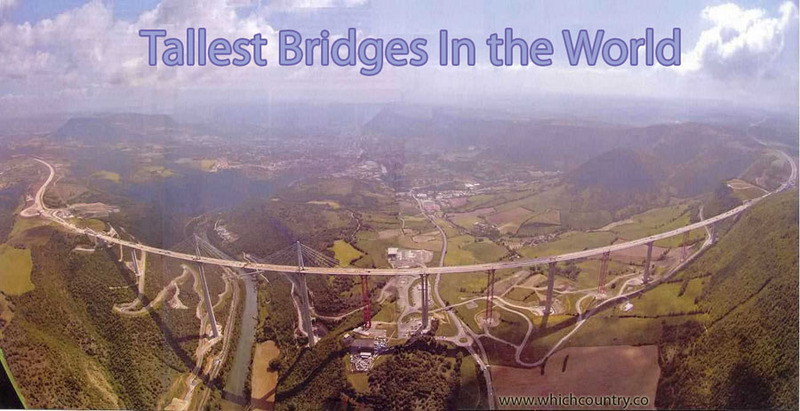 In this list it is placed on 6th spot but in the list of world longest suspension bridges it stands at fourth spot. Its total length is 2260 meters and its height is 270 meters. Its opening date is 12 may 2012. 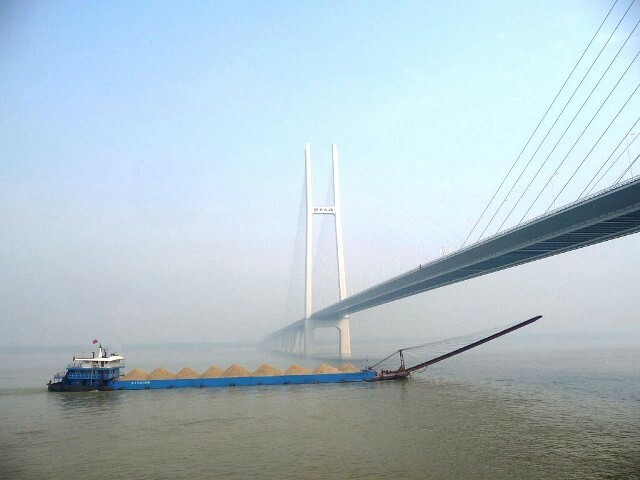 It is one of the highest level cable stayed bridges which is crossing Rambler Channel. Its total length is 1596 meters while its height is 298 m. its total cost during its construction was estimated to $356 million. Its construction was completed during 2009 and open in the same year. This bridge is consisted of three spans from which the first span is 6532 ft and the rest two spans are 960 m each. While the bridge’s overall length is 3911 meters. It is crossing Akashi Strait. This is also known as pearl bridge. Its construction started in 1988 and it was completed in 10 years. Its opening date is 5th April 1998. 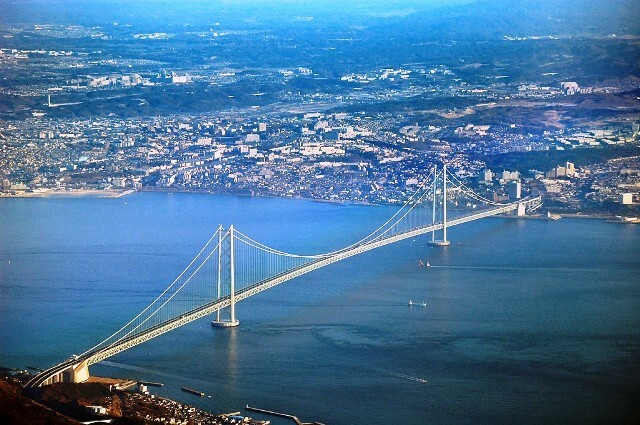 It is maintained by the Honshu-Shikoku Bridge authority. 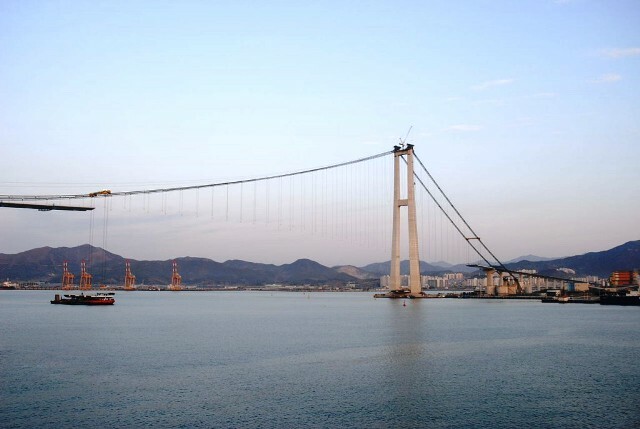 During the period of 2008-2012 it was considered world’s longest span (1088 meters) cable stayed bridge in the world. Its two towers are 1004 ft high so it is known as the second tallest bridge around the world. Its construction began during 2003 and completed in 2008. A great amount of 1.7 billion U.S dollars were spent on its construction. It is crossing the Yangtze River located in China. This is 10200 ft long cable stayed bridge which was opened in July 2012. It is crossing Eastern Bosphorus Strait. Its construction cost was estimated around 1.1 billion USD. Its central span is 3622 ft that is making it world’s longest cable stayed bridge. However its construction costs were much criticized by the Russian Political opposition. 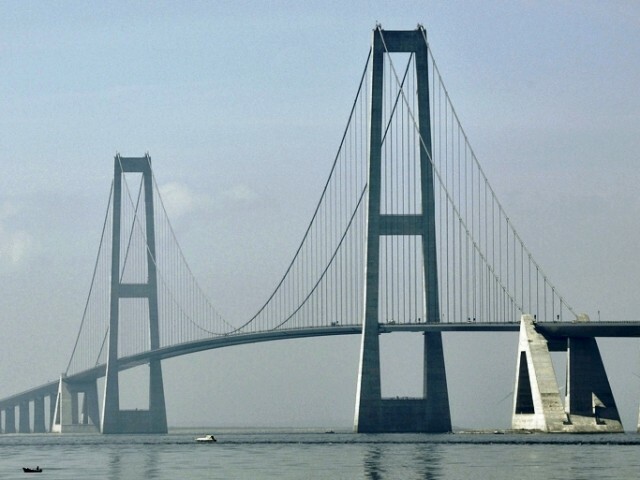 With the Total length of 2460 meters and 343 m height, it is placed on the first spot as the world’s tallest Bridge. It is crossing the Valley of the River Tarn. It was designed by a famous French structural designer Michel Virlogeux. Its construction begun on 16 October 2001 and was completed in December 2004. Its construction cost was estimated about € 394,000,000. Which Country has Largest Roads Network?